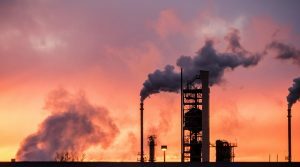 OurEnergyPolicy.org | Can the US Phase Out Fossil Fuel Subsidies? The use of fossil fuels drives climate change. Unfortunately, the path to clean sources of electricity, heat, and transport is impeded by the continued government subsidization of fossil fuels. In our recent Scorecard measuring the US against other G7 countries on progress in eliminating fossil fuel subsidies, the US ranked last, spending over $26 billion a year to prop up fossil fuels. Fossil fuel subsidies waste money and come at the expense of public health, local communities, and the climate. The US still provides subsidies for fossil fuel exploration, mining, production, and consumption. The US subsidizes more oil and gas production than all other G7 countries combined – nearly $15 billion USD a year, compared to $2 billion for the next highest country, Japan. Subsidies come in a variety of forms: allowing royalty payments for companies to mine coal from public lands at far below market rates, for example (costing taxpayers more than $30 billion over the last 30 years). Additionally, nearly half of discovered, yet undeveloped, US oil is dependent on subsidies. As an example, in the Williston Basin of North Dakota, 59% of oil resources are subsidy dependent. In the Permian Basin of Texas, 40% of oil resources are subsidy dependent. The first step to eliminate subsidies is to do a full accounting of those that exist. The US completed a subsidy “peer review” in 2016. While the official US report contained gaps, it did include a list of substantial subsidies in need of reform: $1.6 billion in subsidies for expensing of intangible drilling costs, $966 million in unnecessary write-offs for depletion of oil and gas wells, a domestic manufacturing deduction of $1.0 billion, along with many other subsidies. The next step is to eliminate subsidies: which will require action through Congress. It’s time for lawmakers to phase out government support for fossil fuel production, while ensuring a just transition for workers involved in these industries. 1) Which fossil fuel subsidies are the most inefficient and should be eliminated? 2) Should the cost of externalities (such as health impacts, and water or air pollution from fossil fuels) be included when determining the costs of fossil fuel subsidies? 3) Could the elimination of subsidies speed up the low carbon transition in the US, specifically the deployment of renewable energy and electric vehicle infrastructure? 8 Responses to Can the US Phase Out Fossil Fuel Subsidies? Ideally, Congress would pursue minimization of the total costs of energy, including the costs, if any, from carbon induced global warming. In reality, currently existing global warming models are not a product of the scientific method of investigation. This shortcoming in the basis for energy policy should be corrected as soon as possible. Yours is an interesting concept, but I see three problems: 1) the scientific analysis involves estimates of future or hypothetical costs; 2) the rather coldblooded calculation, even if feasible, puts policy at the service of costs, ignoring human and environmental consequences. It is not likely to gain the emotional support of environmentalists – nor conservatives who remain sceptical of warming. 3) Finally, when have you seen the U.S. federal government base controversial policy on disciplined scientific analysis? in UN-IPCC-AR4 when this document disingenuously states that in the modern era hypothesis testing has been replaced by peer review. the latter method would be less costly to obtain and provide a more reliable basis for making energy policy. Though prone to basing policy in pseudoscience the government has proven itself capable of basing policy in science on many occasions. To continue to base the policy on climate change in pseudoscience has the capacity to cause major damage to our government and its citizens. There are tax expenditures, in which the federal government allows oil companies to deduct taxes during the oil-well development process. A prime example of this is the $2.3 billion Intangible Drilling Oil & Gas Deduction subsidy that allows producers to deduct 100 percent of expenses that aren’t directly linked to the final operation of an oil well. Another notable example in action is the Last-In, First Our Accounting for Fossil Fuel Companies subsidy that allows oil companies to undervalue their inventory, reducing their amount of taxable income on the books and taking $1.5 billion out of federal coffers each year. Then there are the direct spending subsidies, such as the $229 million Inland Waters Transport for Petroleum Subsidy. Usually, the federal government taxes shipping company using waterways a fee proportionate to the tonnage of what they ship. Not so with oil companies. Similar to this is the $107 million Inadequate Administrative Fees for Onshore Drilling Management subsidy that leaves taxpayers holding the bag for Bureau of Land Management costs associated with drilling that would otherwise be covered by the industry. Next up are royalty relief subsidies, where oil companies carve out exemptions for themselves—usually with the help of lawmakers—to pay significantly lower royalties rates on the oil and gas they extract. For example, the Lost Royalties on Offshore Drilling for Leases Issued from 1996 through 2000 subsidy came as a result of the 1995 “Outer Continental Shelf Deep Water Royalty Relief Act,” something that to this day deprives taxpayers of $1.1 billion each year. The final type are known as regulatory subsidies. These apply when oil companies are given leniency in fulfilling their regulatory commitments. The most prominent, recent example is the $334 million BP Deduction for Oil Spill Legal Settlement subsidy, where BP was permitted to deduct from its tax bill nearly all the damages they paid to the federal government as a result of the infamous Deepwater Horizon spill. Today the U.S. is unique among advanced nations in its degree of internal fragmentation, polarization, and policy gridlock. And it is near the bottom of all advanced nations in the proportion of renewable to total energy use. That’s not because of lack of zeal by environmental activist organizations like the NRDC. Han Chen’s proposal to phase out fossil fuel subsidies offers a first-class example of how we got into our deeply unsatisfactory performance in the first place. Her prescriptions are straightforward: identify all fossil-fuel subsidies, then stop them – a step that will need Congress. I’m on board with discontinuing fossil fuel subsidies. The global climate change rationale for this needs no elaboration by me. But Han totally ignores the potential consequences of single-minded action. What about the regions and industry that would be severely impacted? We still import 10 million barrels of petroleum per day – much of it for transportation fuel. If shutting down subsidies has the desired effect of also shutting down petroleum production, would it be a good thing to trade American jobs and economy for imported oil to fill the gap? Filling it through electric cars and other envisaged solutions is well in the future. The Obama administration was moving as rapidly as it could in renewable energy policy, but unlike advanced European nations, it took a singleminded approach to policy and a hostile attitude to industry. It gave minimal attention to wider consequences and antagonisms aroused by its policies. So what happened? Trump. Germans and other European leaders in renewable energy performance adopted cooperative rather than unilateral policies. Instead of environmental activists flexing their legal and litigation muscle Greens and industry communicated. It was the Greens who proposed Germany’s brilliantly effective feed-in tariff system for promoting all types of renewable energy development. And industry has been a partner in, not an antagonist to renewable energy policies. I think eliminating the $20Billion in annual giveaways to the fossil industries would be the best way to level the playing field with renewable solutions. It would include charging the actual environmental damages back to the perpetrators, and it would include not deducting fines as a legitimate expense. Tax payers have been shortchanged on damages even when money is paid and work done. We need to produce less every year, so phase out that $4B coal production tax credit and similar production credits in the oil business. One rationale to gain support for the eliminations can be to re-budget a certain amount of the reduced expenditure for worker retraining and such. Another set aside could be made for part of the environmental cleanup that is still required, as well as health issues. In WVA miners with diagnosed black lung have had trouble collecting disability. Other sickness ‘hot spots’ are located near toxic emission facilities. People need to know about this hidden industry support. One tax credit is over 100 years old and was put in place to help build the oil industry. These ‘subsidies’ need to be part of the budget discussion. I have prepared an exhibit – the “Gallery of Clean Energy Inventions”. Here is the current description: The Gallery of Clean Energy Inventions displays profiles of 16 Larger Generators, 29 Smaller Generators, 23 Advanced Self-Powered Electric Vehicle Innovations, 27 Radioactivity Neutralization Methods, 25 Space Travel Innovations, 20 Technical Solutions to Water Shortages, and my own design of a Torsion Field School Network. Also displayed are 26 movie posters and 98 fantastically colorful Hubble Space Telescope images.All of the exhibit files are linked at the top of commutefaster.com/vesperman.html. A shorter version with page numbers but without exhibit setup instructions and movie posters is linked at https://app.box.com/CLEANENERGYEXHIBIT. I recently learned that deployment of clean energy inventions would also mitigate the enormous water consumption of generators and production of fossil fuels. I can see Lake Mead dropping each year from my front porch. If our severe drought continues the exhibit includes profiles of water solutions that may help southern California survive beyond a few short more years. The US government budgets zero subsidies for a comprehensive proactive program to discover, evaluate, develop and commercially deploy clean energy inventions. Would it be too sensible to set aside 1% of fossil fuel subsidies for clean energy inventions? Energy subsidies should not be utilized to support mature industries, in mature markets with mature technologies. The annual $15 billion of taxpayer subsidies are just a tip of the iceberg on what US taxpayers and consumers pay. The irony is that Congress is phasing out the wind energy production credit (a much younger industry) while maintaining the fossil credits(our oldest energy industry). This behavior distorts the market place in several ways, while it also incurs costs for consumers on the waste, water, emissions clean up and health care that is not subsidized. So the ratepayer and consumer pays both ways and limits competition in the marketplace. This is bad public policy all around. Bad economics, and basically “pay for” politics – rich industries feeding at the public trough. What’s sad is that the Congressional majorities from both parties claim there are no fossil subsidies, when the opposite is true. Why corporate America and the general public stand for this charade has always been a mystery to me, but “might makes it right”. There have been more than 35 studies on energy subsidies over the last decade and all raise the issue of fossil and nuclear subsidies, and Congress has never addressed the issue forthrightly. While I applaud the discussion, no change politically to change the situation is possible.